The government will build a new expressway connecting Gurgaon with Mumbai and passing though the country’s two most backward districts —Mewat in Haryana and Dahod in Gujarat —in the next three years, highways minister Nitin Gadkari said. 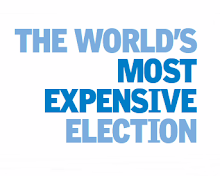 The project would cost about Rs.60,000 crore. The expressway will reduce the existing distance of 1,450 km by road to about 1,250 km and will bring down the travel time to about 12 hours. 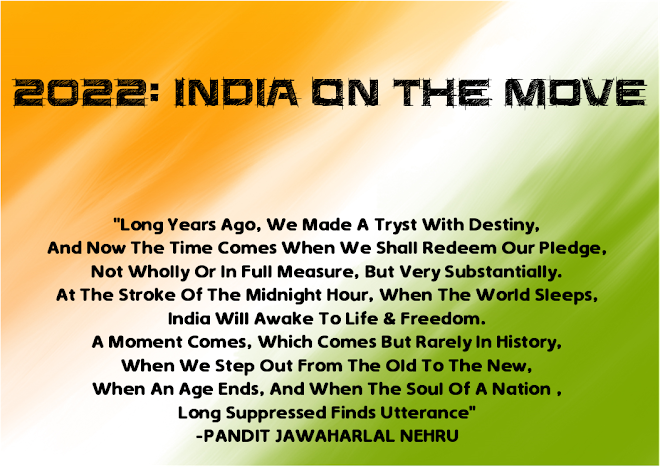 Currently, it takes at least 24 hours to cover the stretch between Delhi and Mumbai through NH-8. Gadkari said work on this stretch would start by December and be completed in three years. The expressway will begin from Gurgaon’s Rajiv Chowk. “It will be built on the existing alignment up to the Sohna bypass and from there it will be greenfield (new) alignment till Vadodara,” said a highway ministry official. Gadkari said the work for the Vadodara-Surat stretch of the expressway has been awarded and the tenders for the Surat-Mumbai stretch will be out soon. “This expressway will bring development to the undeveloped regions and hinterland in Rajasthan, Haryana and MP to spur growth and some backward areas will also shine. Industrial and commercial development will generate jobs. We are now looking at building highways on new alignment rather than just expanding the existing stretches to de-centralise development,” he said. 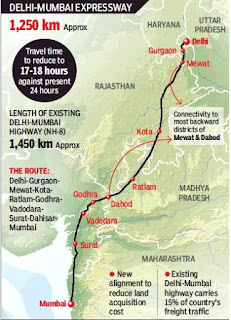 Gadkari said the Delhi-Mumbai Expressway will provide connectivity to the proposed Chambal Expressway and a dozen more cities, including Jaipur, Kota, Sawai Madhopur, Ujjain, Godhra and Ahmedabad. There is also a proposal to have the provision for a highspeed rail corridor along the Gurgaon-Vadodara stretch. The minister said work will start at 40 locations simultaneously so that the new expressway becomes operational. Since the expressway will pass through unexplored regions and backward areas, the expenses for land acquisition will be less. The land acquisition expenses for the Gurgaon-Vadodara stretch is likely to be in the range of Rs.5,000 crore to Rs.6,000 crore, which is almost one-third of what NHAI would have spent for getting land for building the Delhi-Jaipur Expressway. Sources said the highways ministry recently reworked its plan to extend the earlier proposed Delhi-Jaipur Expressway up to Vadodara. 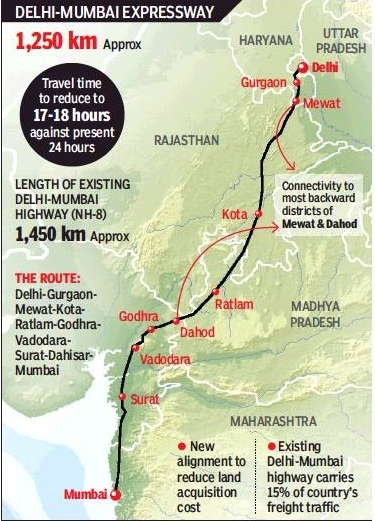 “Since we have already started work on the Vadodara-Mumbai stretch, building the Gurgaon-Vadodara corridor will make the travel smooth from Delhi up to Mumbai,” said a ministry official.